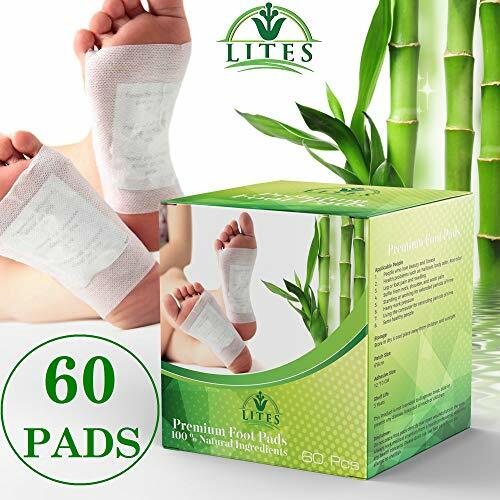 Foot Pads - (60pc) Premium Pain Relief Foot Pads Natural Ingredients: Bamboo Vinegar, Chitosan, Tourmaline, Vitamin C, Negative Ion Powder. Instructions For Use:1. Clean feet with warm water and dry 2. Peel off film from adhesive sheet3. Place foot pad on center of adhesive sheet4. Attach the foot pad onto foot5. Leave on for 8 hours6. 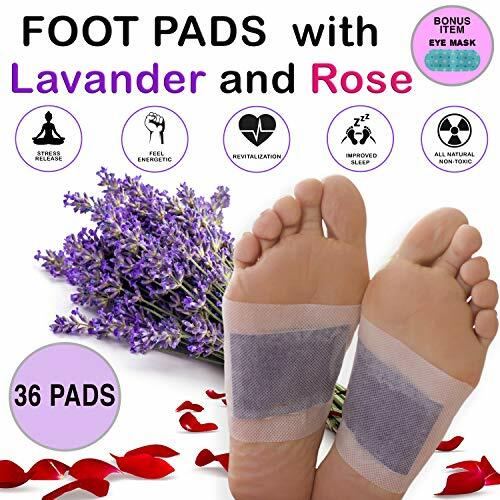 Remove residue from feet afterwards Benefits from Footpads: Improved quality of sleep Metabolic health & wellness Promotes healthy blood circulationRelief from muscle tension & physical discomfort Supports healthy immune system Supports healthy skin Notice Store in dry place below 120F. 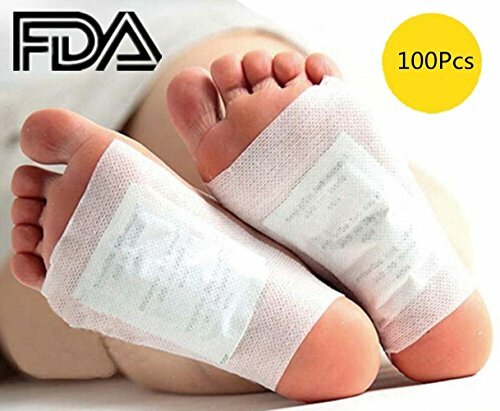 Keep foot pads sealed until use. Keep footpads away from children. Do not put in mouth or open cuts.Do not use if Allergic to shellfish. 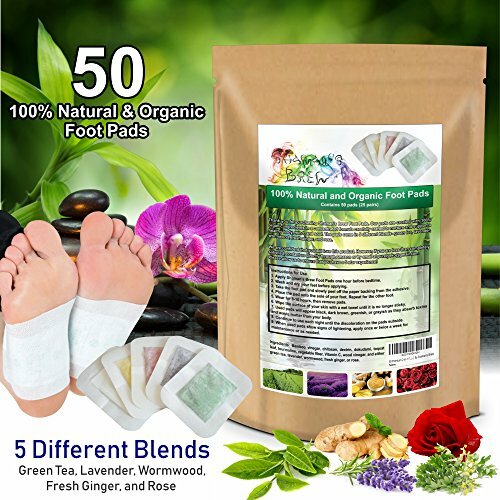 This package contains a total of 50 2-in-1 foot pads in 5 different blends. Why use Foot Pads? 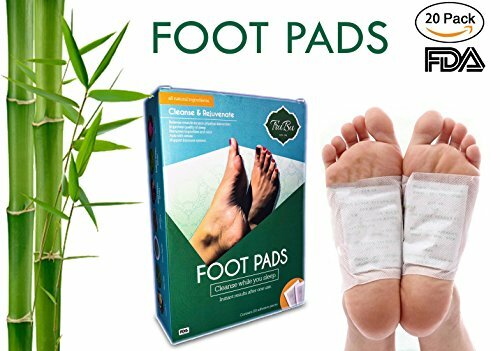 Millions of foot pads are used each month in the Orient. 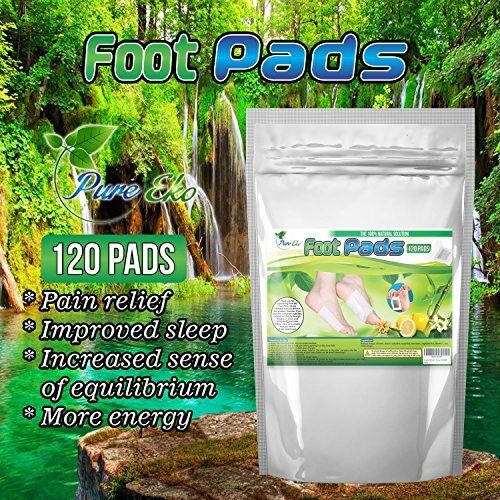 Our foot pads are made entirely from best quality natural ingredients. They are a safe, convenient and economical method of wellness. Foot Reflexology It is an ancient natural therapy which utilizes energy zones on the feet and believed to provide relaxation as well as to energize the body system. Foot Reflexology has been practised for several thousands of years in Far East. When the pads are applied to sole of your feet, they start working. Foot pads work with best performance while you are sleeping. How to use? 1) Clean your feet, 2) Attach the foot pad onto your foot sole. 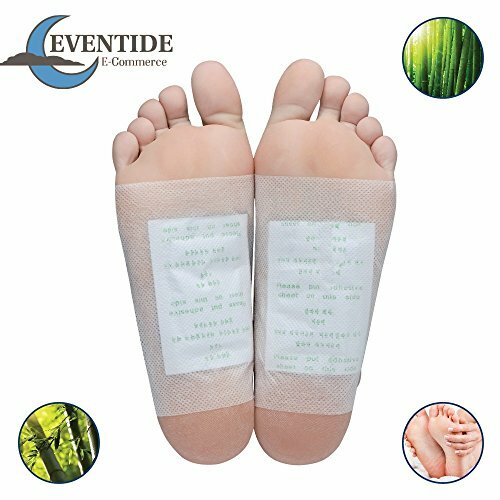 (the non-woven fabrics/sticky side should touch your skin) We strongly recommend you to use the pads when you are sleeping. Because when your body is in horizontal position, your body will be at the same level and the blood circulation will be much easier. Do you suffer from insomnia? Poor sleep? Do you suffer from stress and anxiety? Do you work out? Do you suffer from muscle soreness? Body aches? Do you feel a lack of energy and constant brain fog? You might need to cleanse your body from toxins. We get exposed to hundreds of toxins that affect our bodies in various ways, and there is a constant need to get rid of these toxins. 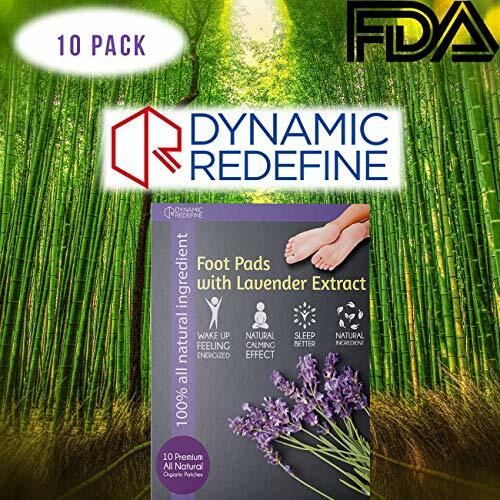 Try our innovative rose & lavender aromatherapy infused foot detox pads today and reap the benefits: ► Better, deeper sleep ► Stress and tension relief ► Muscle soreness and body ache relief ► Improved blood circulation ► Toxin and odor detox overnight ► Elevated energy levels and overall better mood ► Promotes metabolic health ► Supports Immune system Our pads are FDA approved, manufactured with 100% natural ingredients and easy to use! 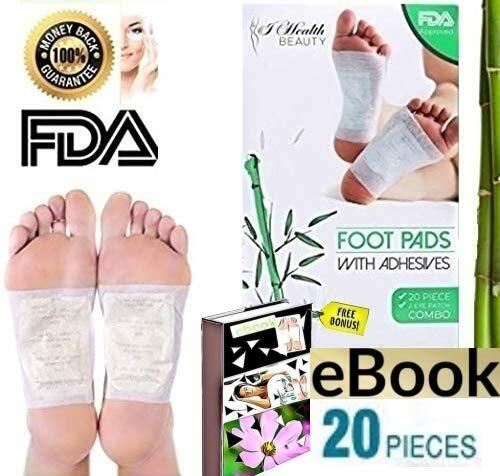 Just place the adhesive pad on the middle of your foot overnight, and in the morning peel it off and rinse. Try our Detox Pads and see what everybody is raving about! 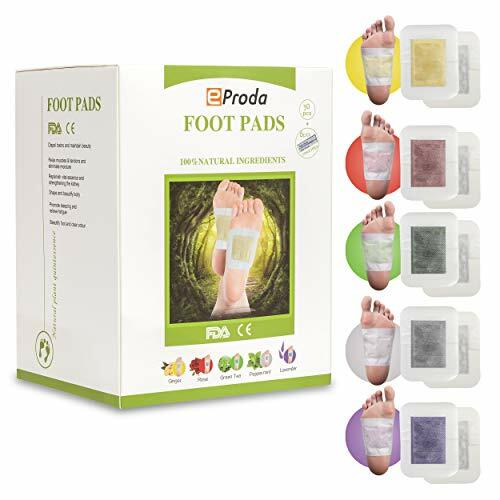 Improve your overall well-being with the Aromatherapy detox foot patches. 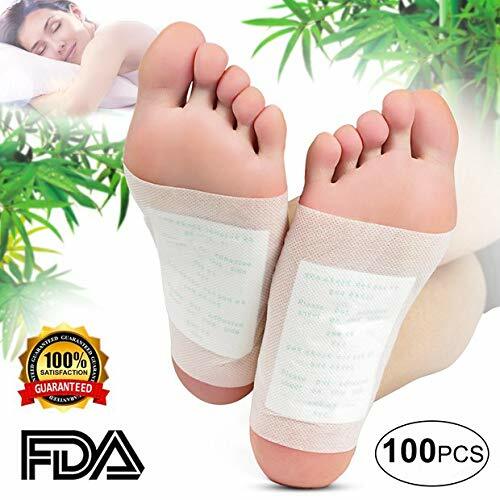 *For the best results: Use patch before sleeping, wipe down your foot before placing the adhesive foot patch on. Try Feetox Today! We Have No Doubt You Will Be Back For MORE! And Dont Forget to Apply the Coupon Have you been stressed, tired or anxious lately? Feeling bloated, or finding it hard to sleep? Need a refresher? Look no further! 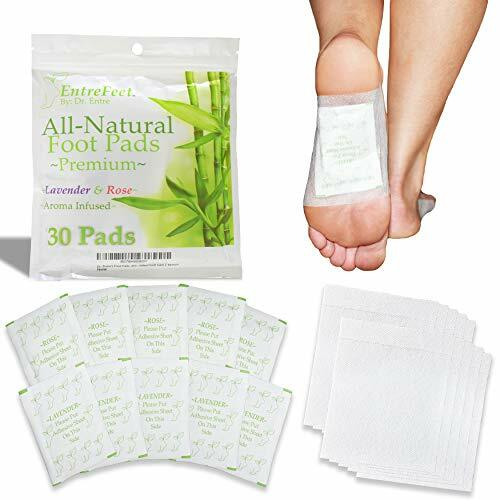 Feetox has you covered with our foot pads. They're everything you need and more. The all natural homeopathic journey to wellness. 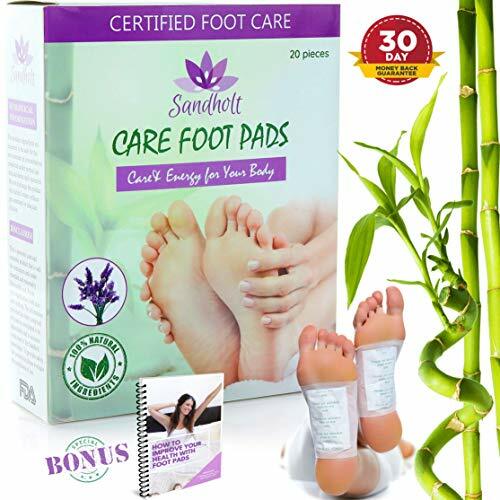 Foot pads are famous throughout many countries for their healing properties and unique beneficial qualities. 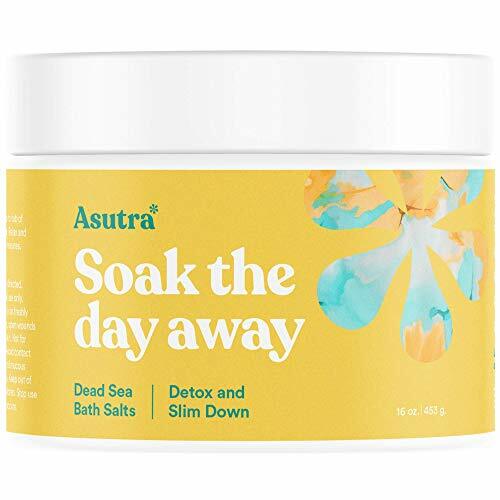 Made will all natural ingredients, and infused in your choice of 4 scents (mint, lavender, rose and green tea), will have you feeling rejuvenated and refreshed in no time. 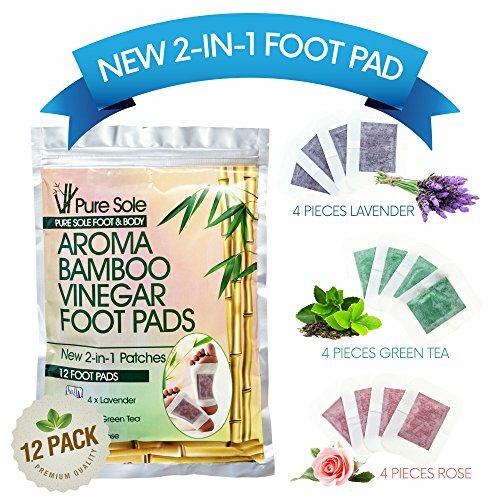 Unlike other remedies, our foot pads are the perfect way to unwind after a long day, easy and safe to use. 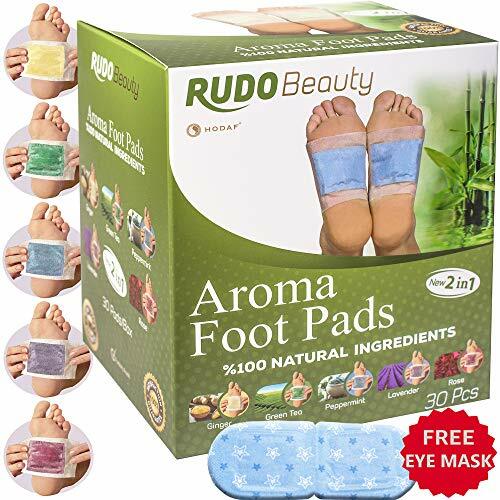 Unique Benefits The Japanese foot pads may help you improve body odor, reduce acne, improve sleep quality, , and so much more! 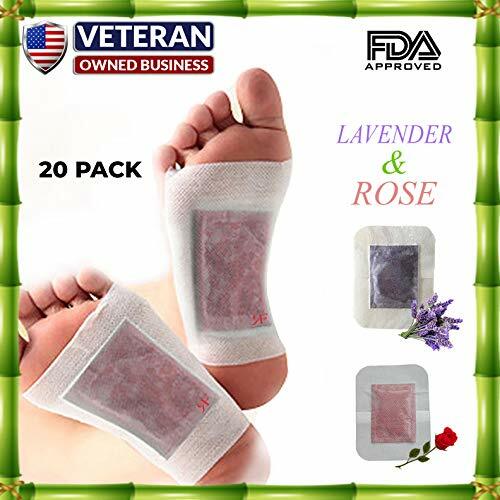 What you'll receive: -6 lavender patches -6 mint patches -4 rose patches -4 green tea patches -A downloadable EBOOK manual, that will give you very specific directions and tell you about the history, and benefits of using these foot patches. Don't miss out on this incredible opportunity. Add them to your cart right now, and START noticing the DIFFERENCE! This package contains a total of 120 pads and 120 adhesive sheets. 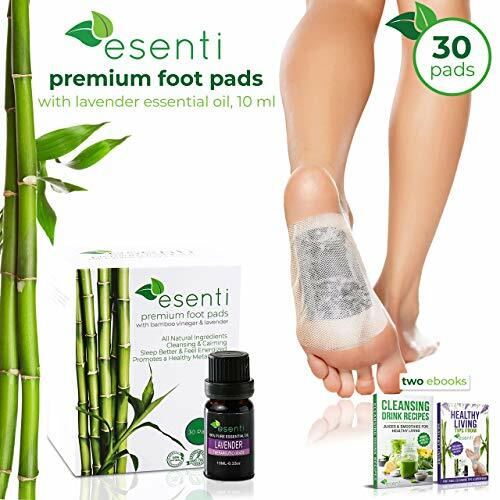 Compare prices on Detoxifying Foot Pads at Elevelist.com – use promo codes and coupons for best offers and deals. We work hard to get you amazing deals and collect all avail hot offers online and represent it in one place for the customers. Now our visitors can leverage benefits of big brands and heavy discounts available for that day and for famous brands.